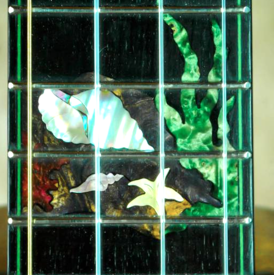 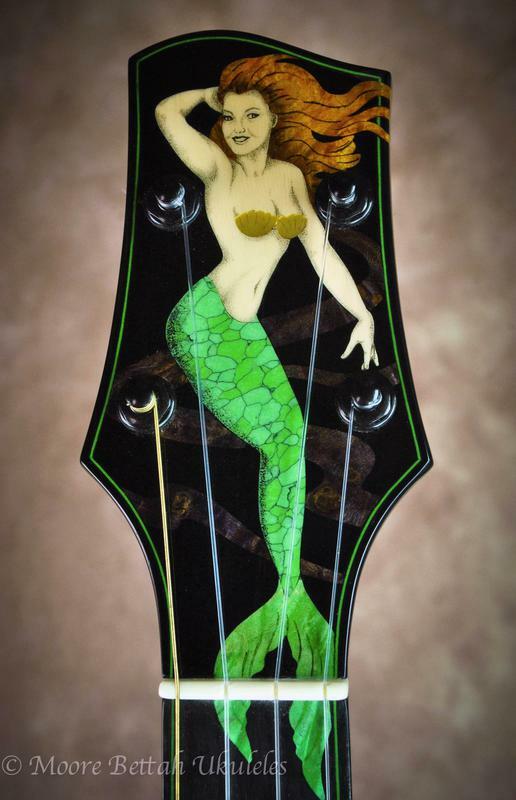 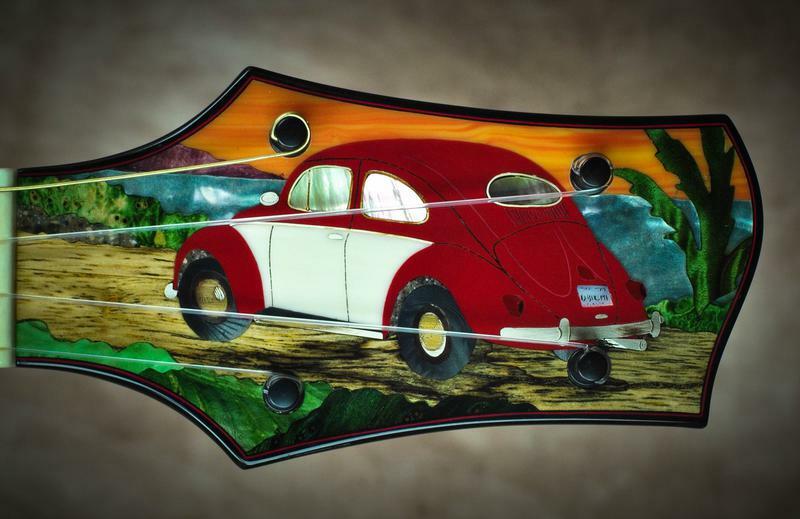 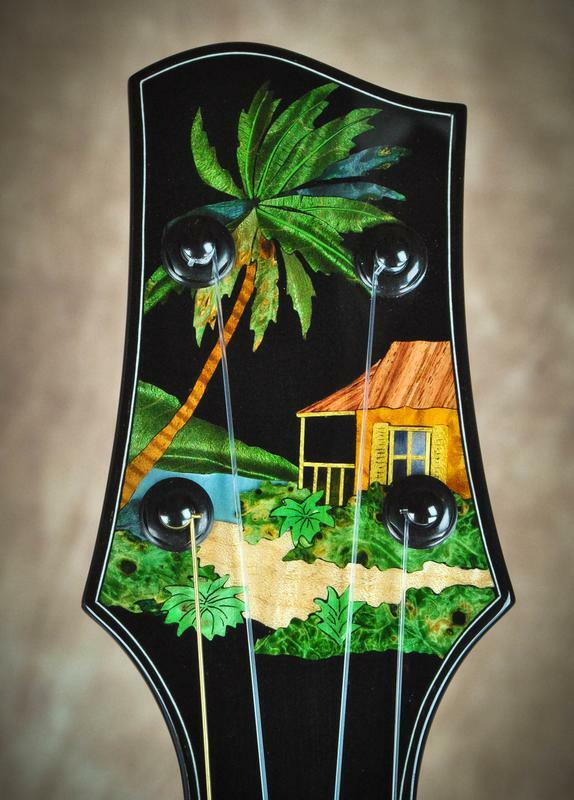 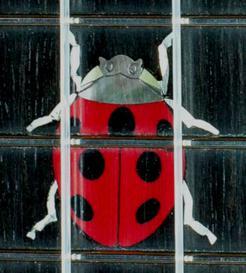 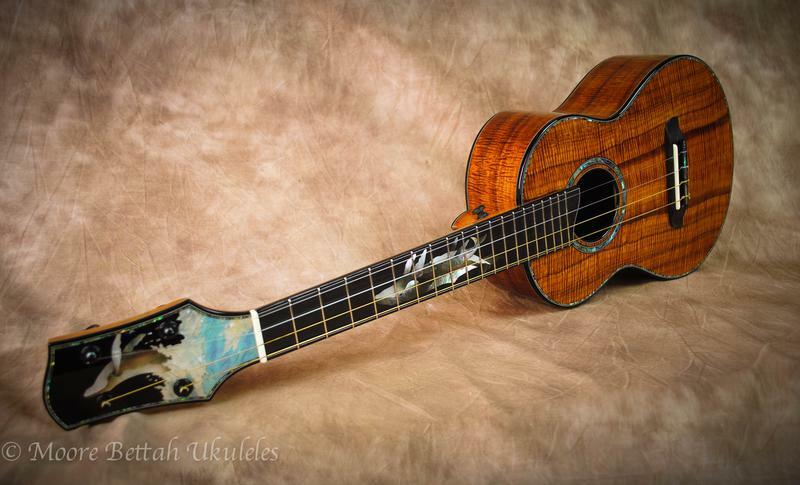 A pictorial gallery of a few selected ukes that I've completed lately. 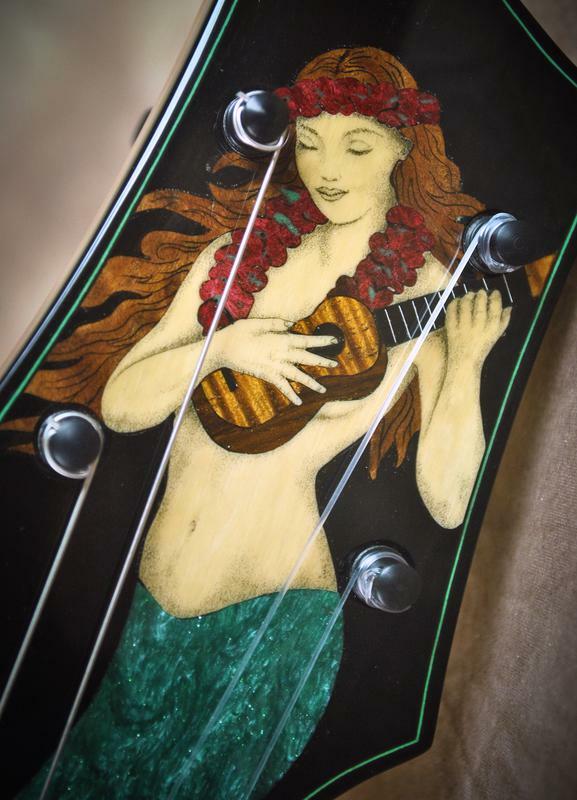 LUANA, Jungle Princess of Bongo Wongo! 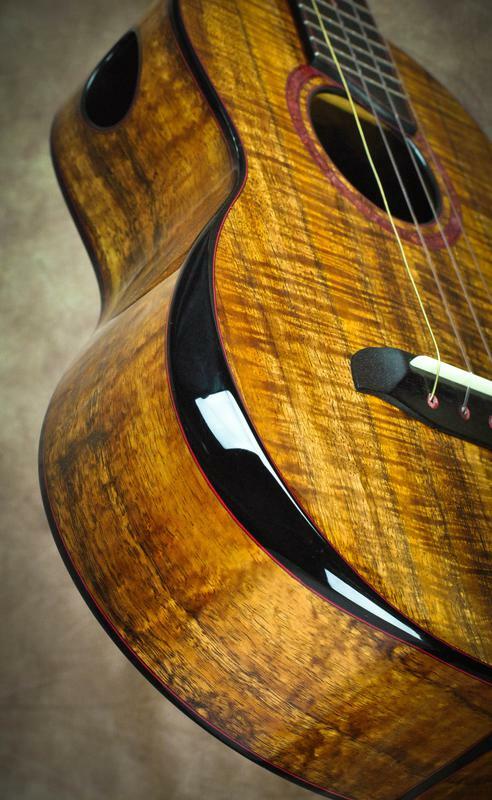 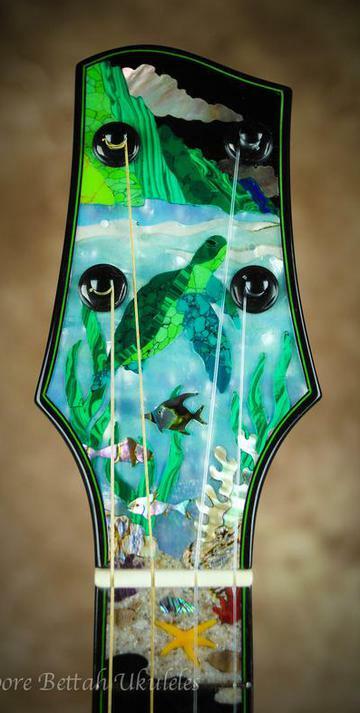 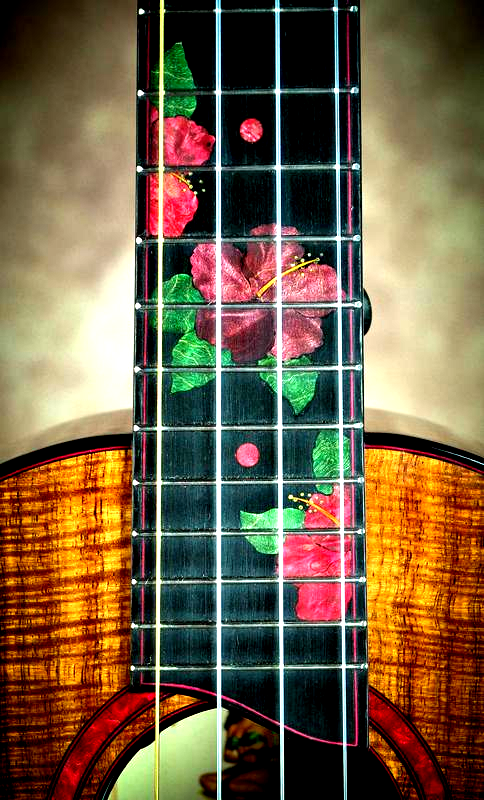 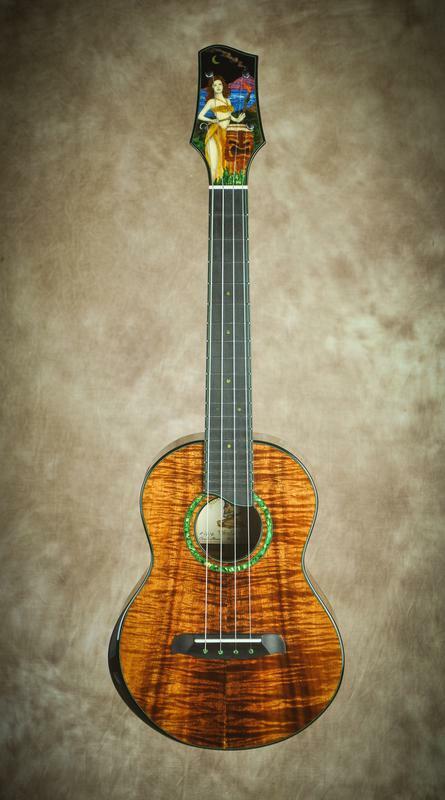 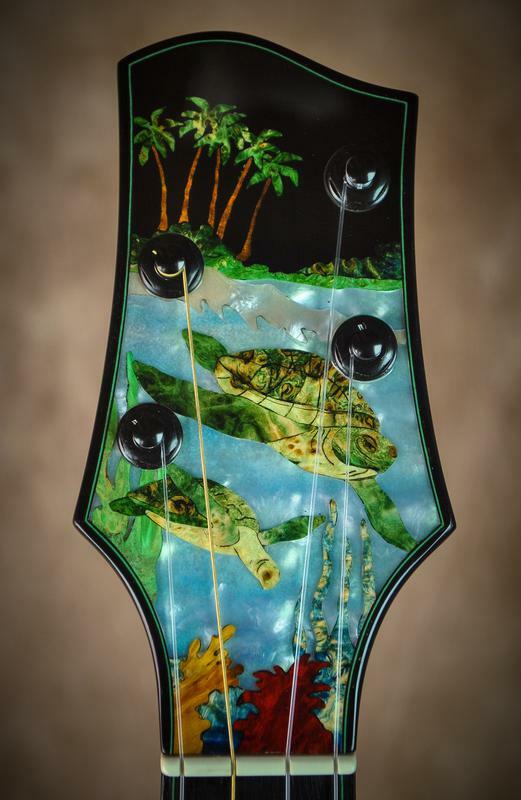 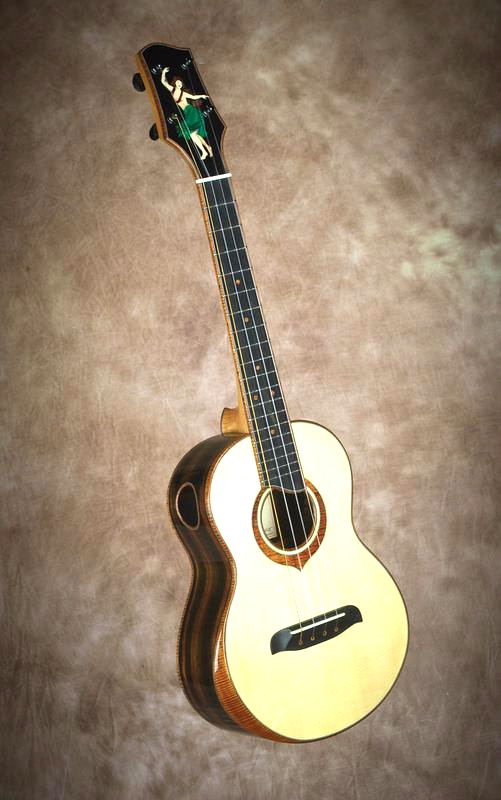 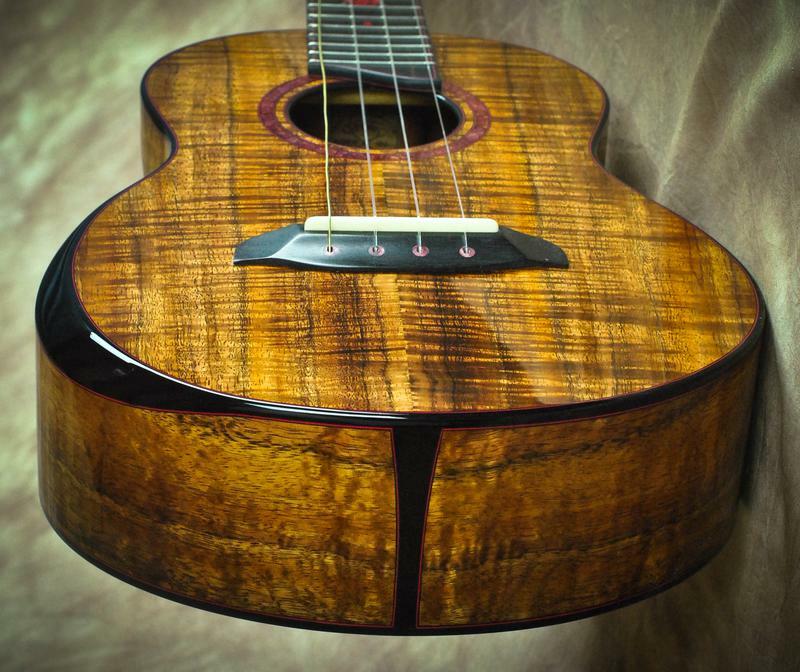 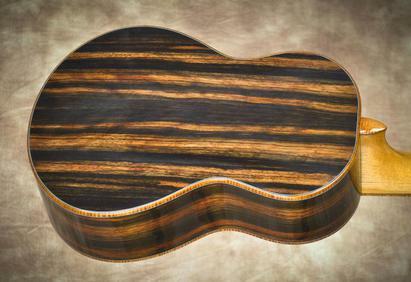 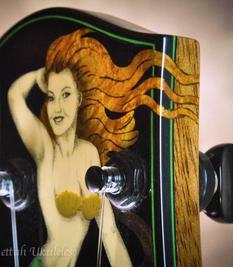 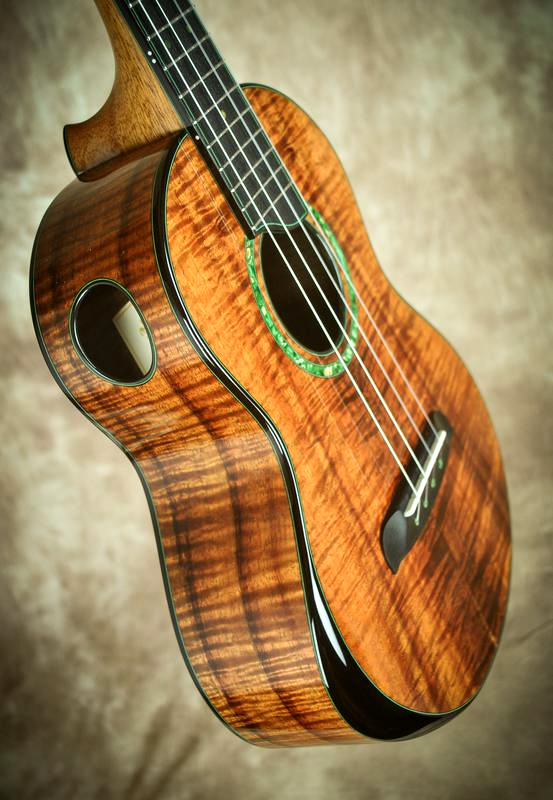 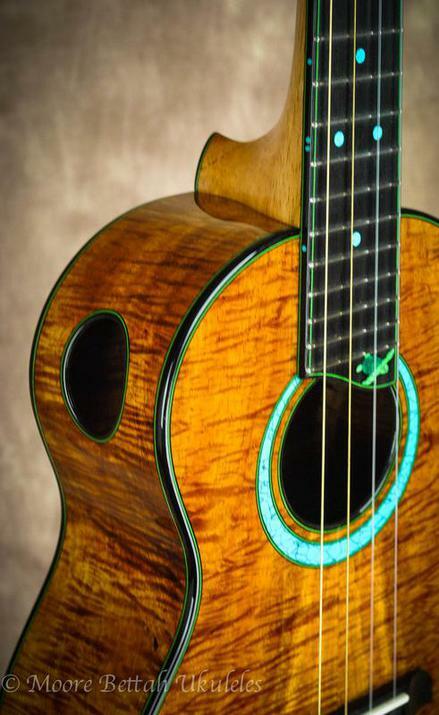 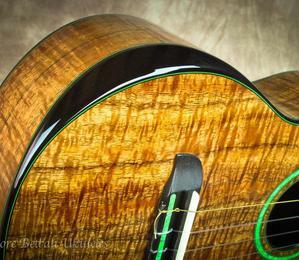 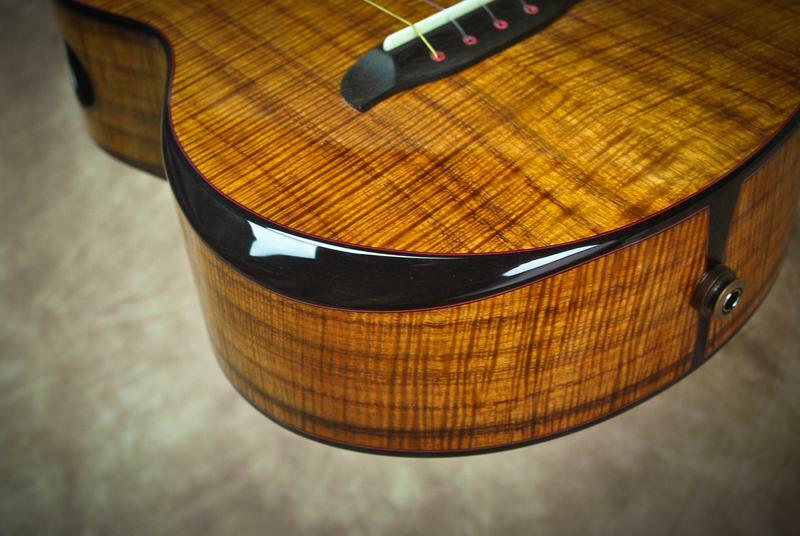 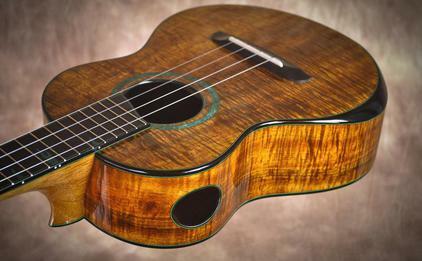 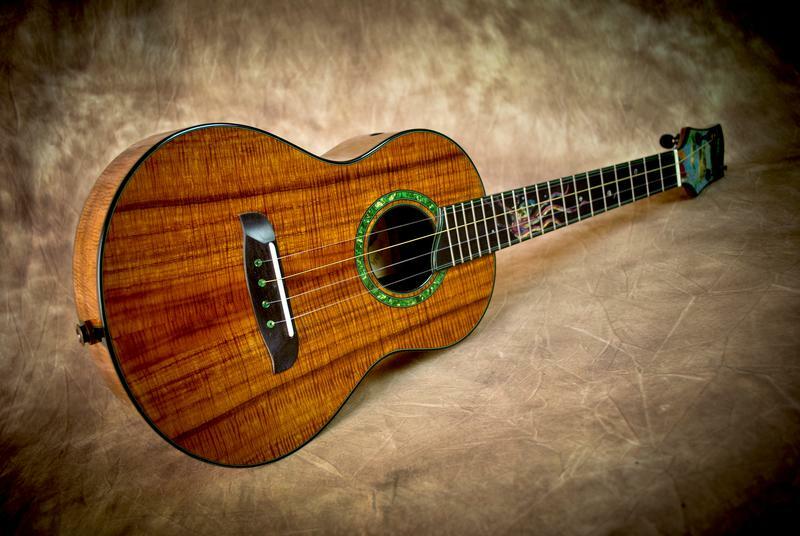 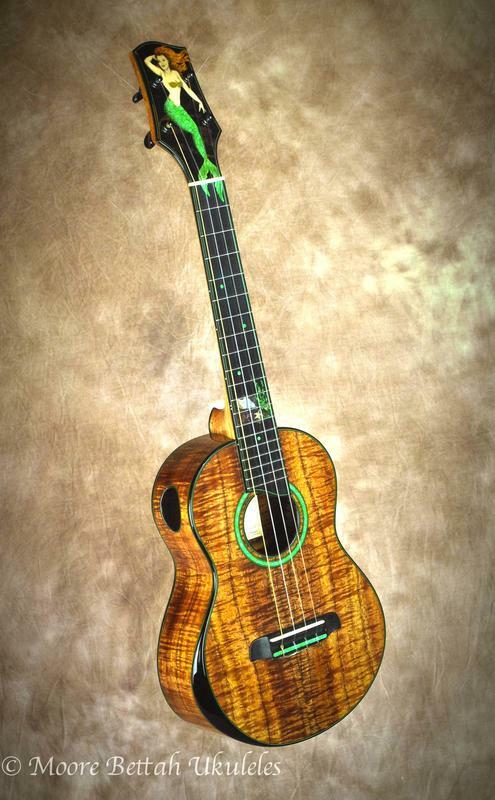 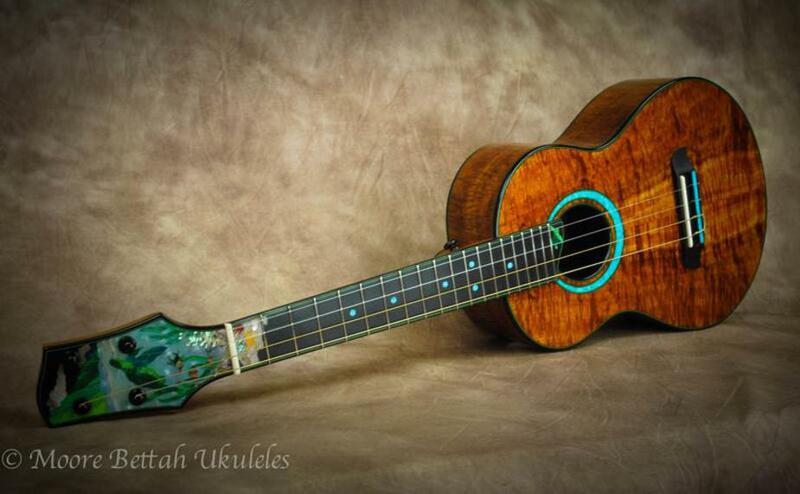 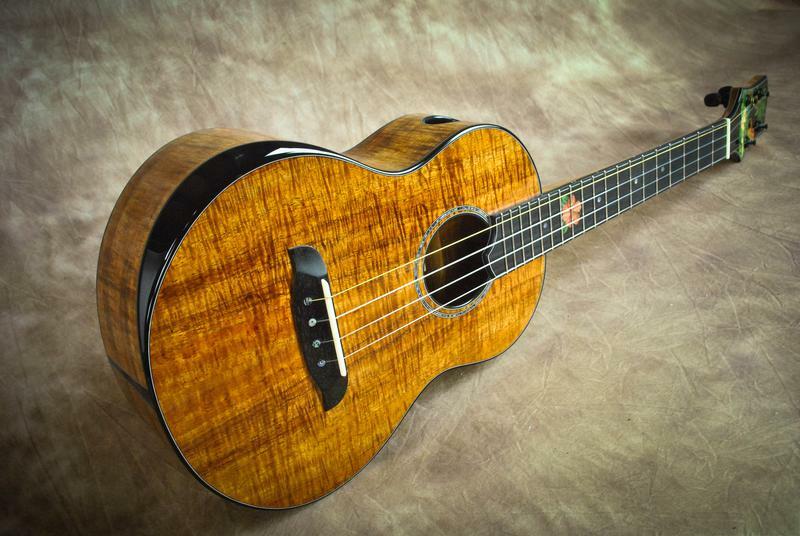 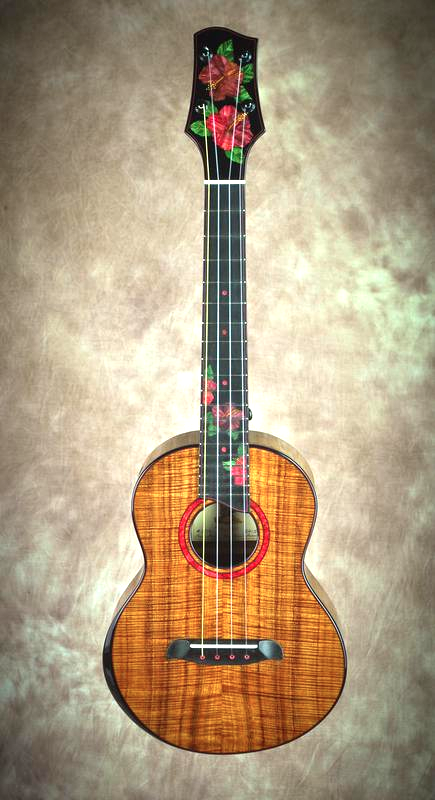 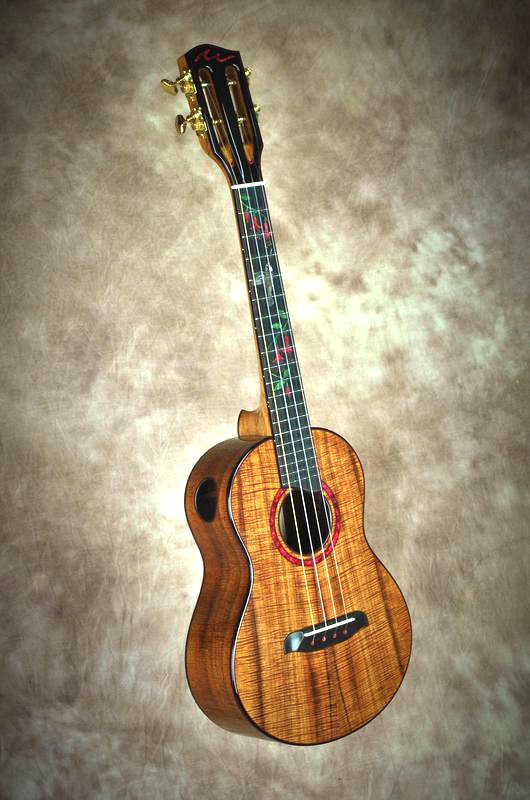 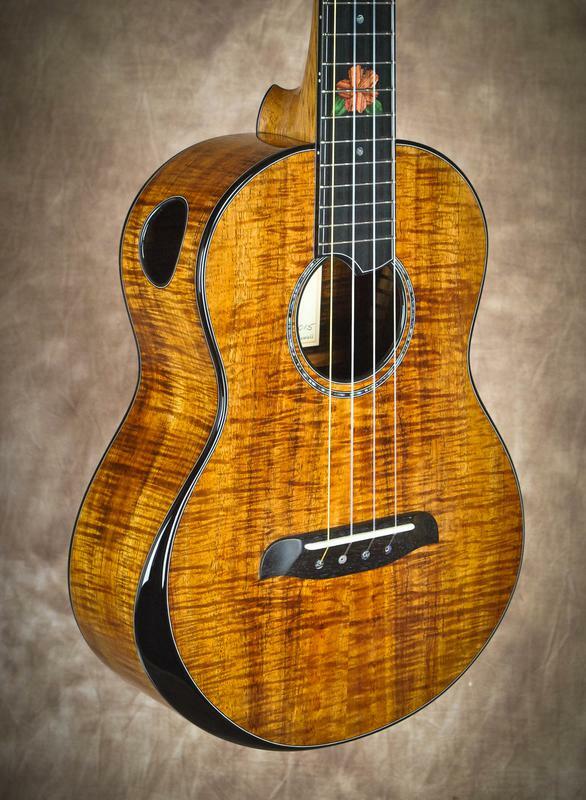 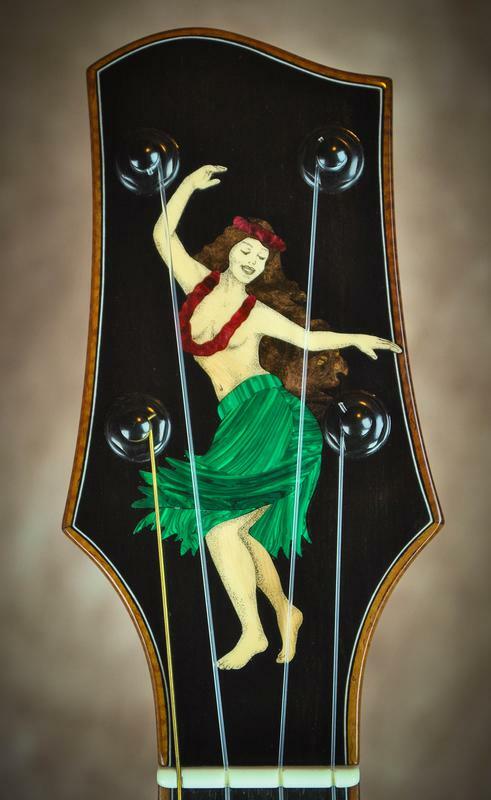 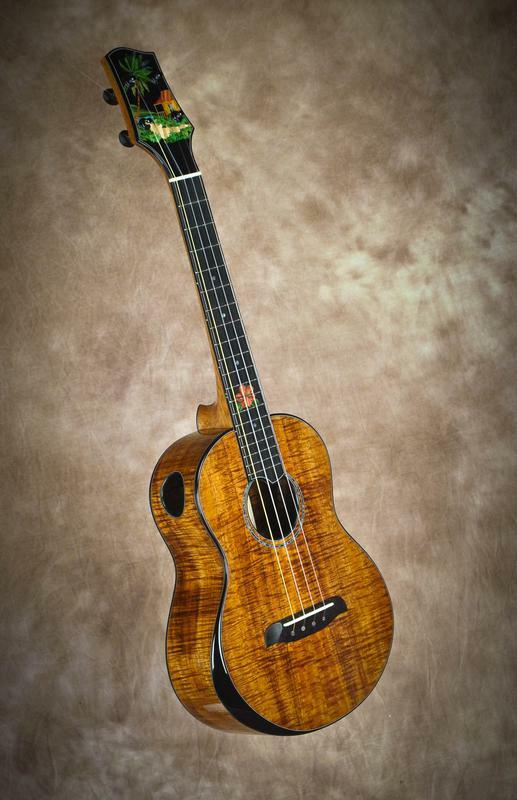 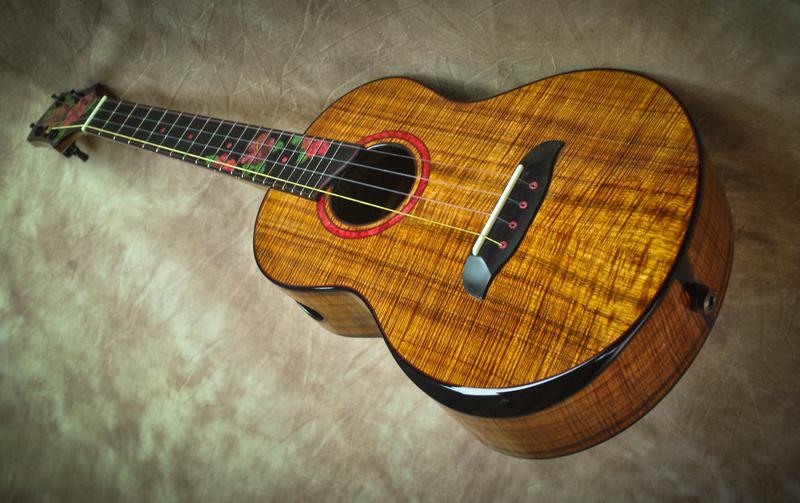 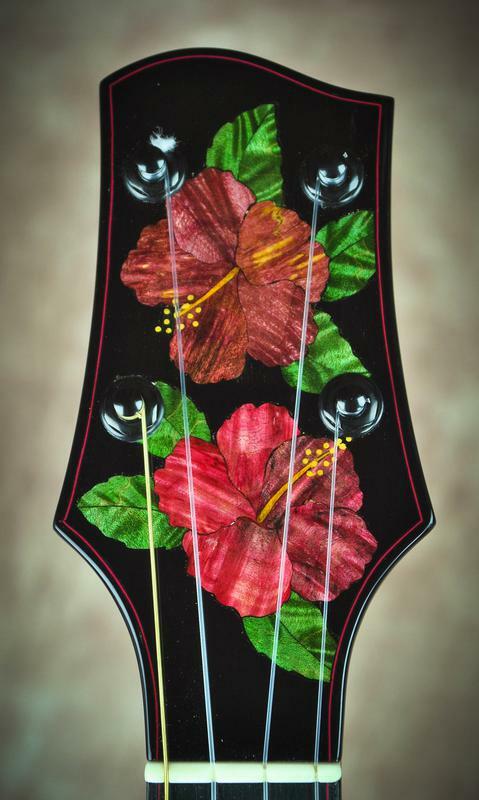 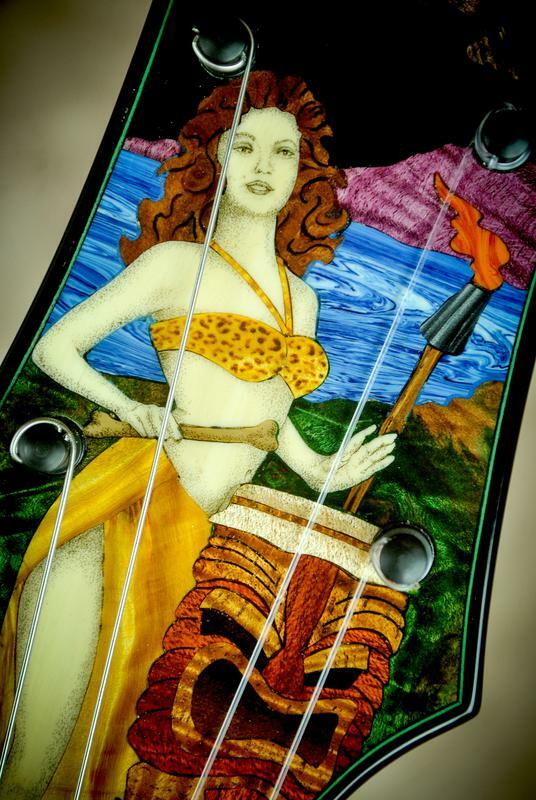 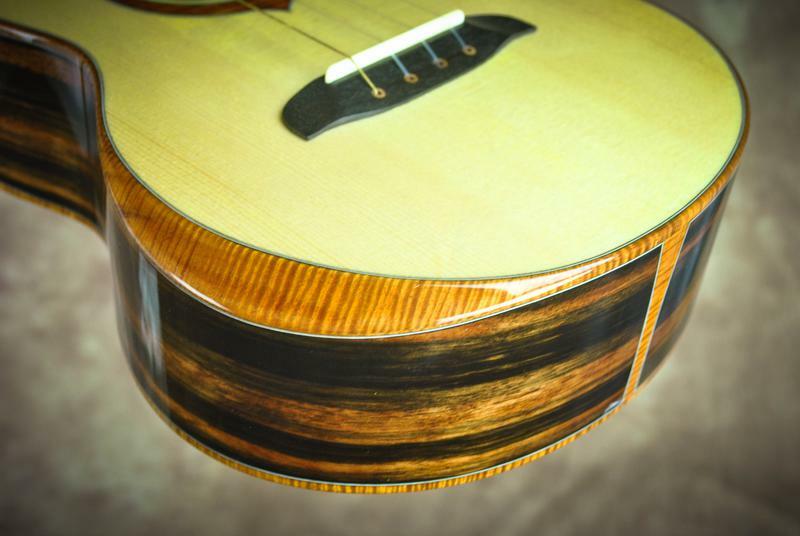 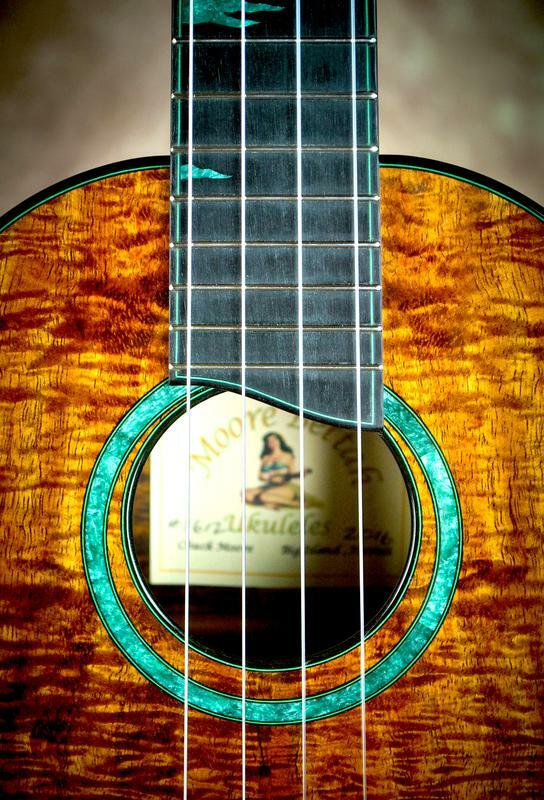 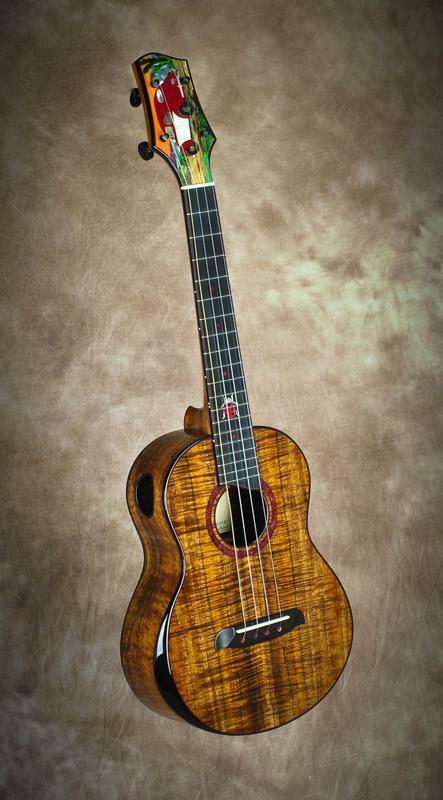 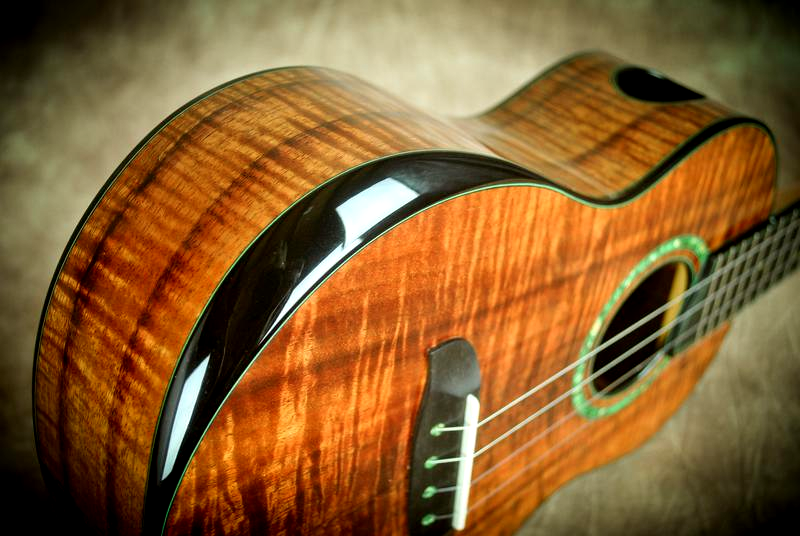 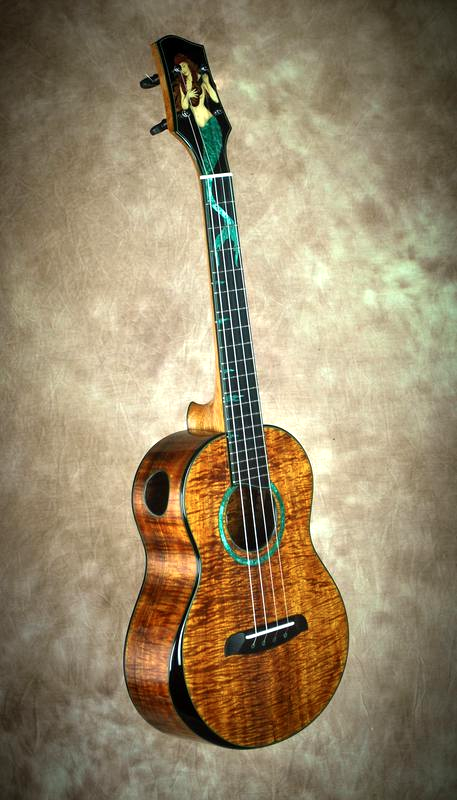 I used 5A master grade koa on the body of this uke and installed an arm bevel and side sound port. 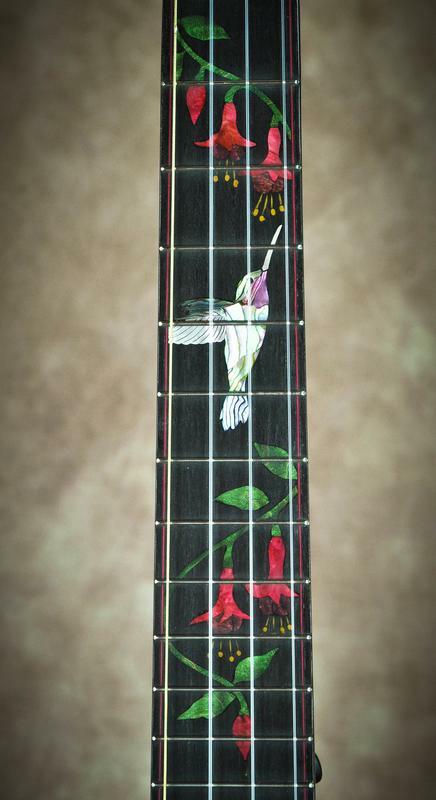 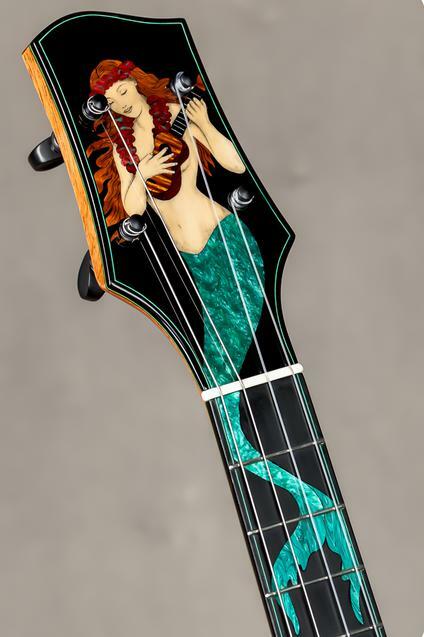 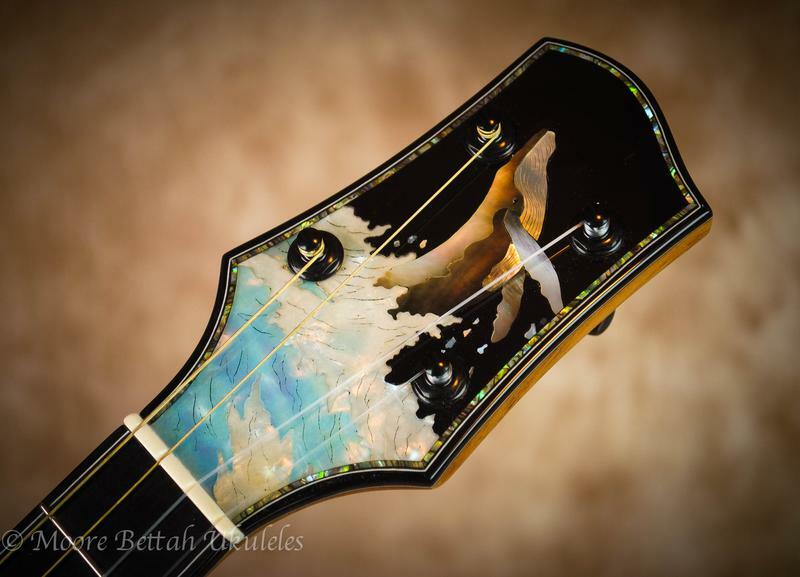 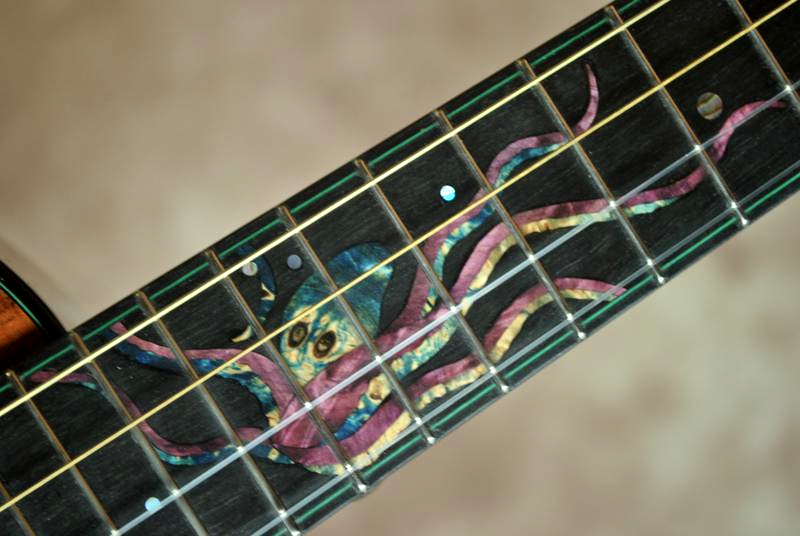 For the inlay I used fossil mastodon ivory which I've scrimshawed and combined it with various natural and colored woods as well as reconstituted stone.